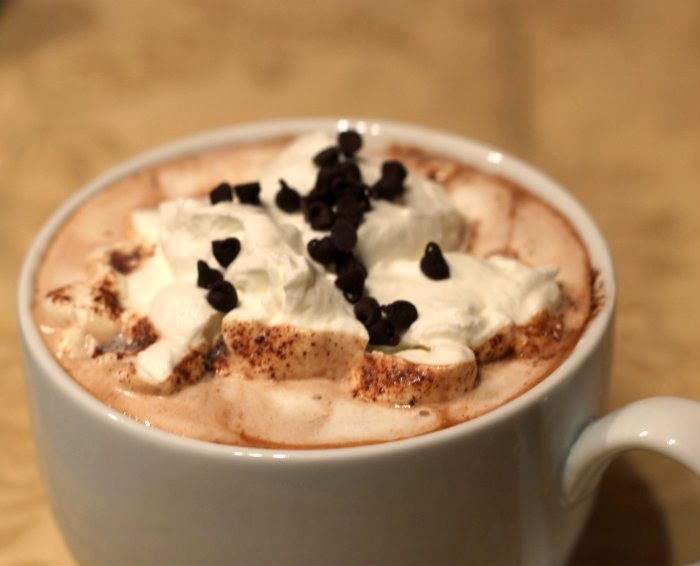 I love hot chocolate; it’s a great treat when the weather is cold outside. 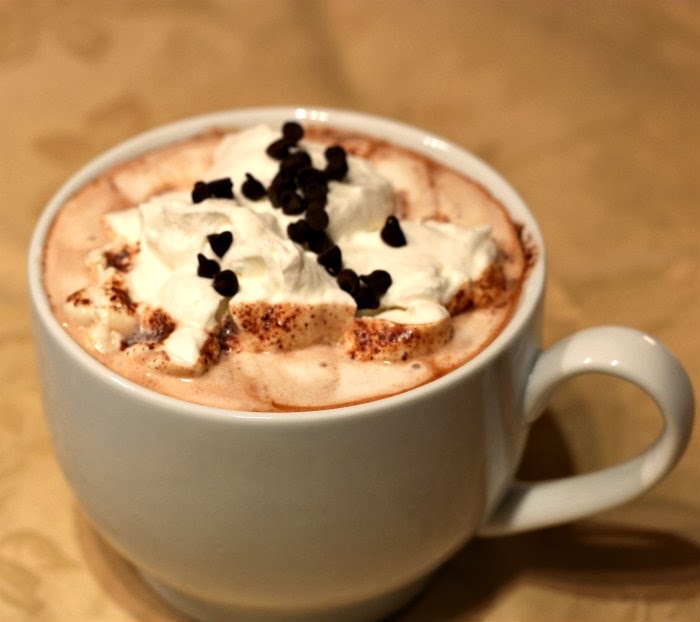 While surfing the web I found this recipe for hot chocolate and peppermint schnapps, I love the flavor of chocolate and mint, so I thought I would give it a try. This is a simple recipe for making hot chocolate and since I don’t usually make hot chocolate with using a mix I decided to try it with both the peppermint schnapps and without. Either way it was a great tasting hot chocolate. One of the secrets for getting a great tasting hot chocolate for this recipe is using a good quality chocolate. 1. Heat 1 cup of milk in a medium saucepan over low heat. Add chocolate, stirring constantly, until melted. When the chocolate has melted, increase heat to medium and add the remainder of the milk while whisking rapidly. Do not allow to boil. 2. Service in your favorite mug with a jigger (1 1/2 ounces) of peppermint schnapps (or if you prefer you can leave the schnapps out) and add a dollop of whipped cream. You posted this right when we’re expecting 4 to 6 inches of snow. Perfect timing. 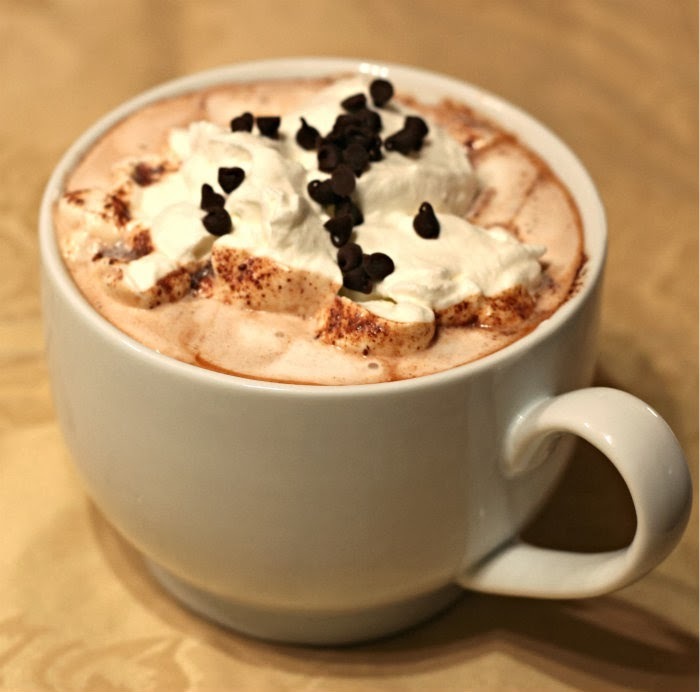 It’s cold and dreary here today – this drink would make me very happy and warm tonight! We can’t get enough of mint chocolate everything around here…definitely can’t wait to try this! Boy, it’s so cold here today (and snowy!) that this really looks like just the thing. Love the addition of the schnapps!